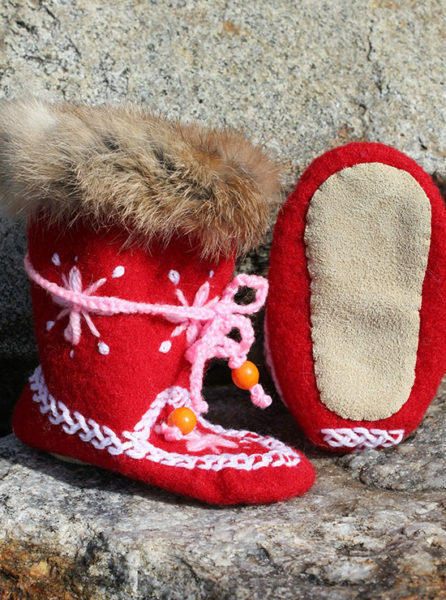 These wool duffle booties are lovely. 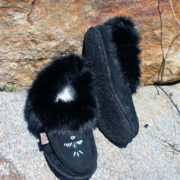 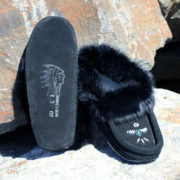 Handcrafted by Inuit artisans in Labrador, they features pink and white embroidery, fur trim and a leather sole. 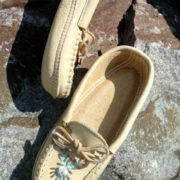 They fit Infant Size 4 (8-10 months) only.